Saturday July 7th, 3:00-5:00 pm. 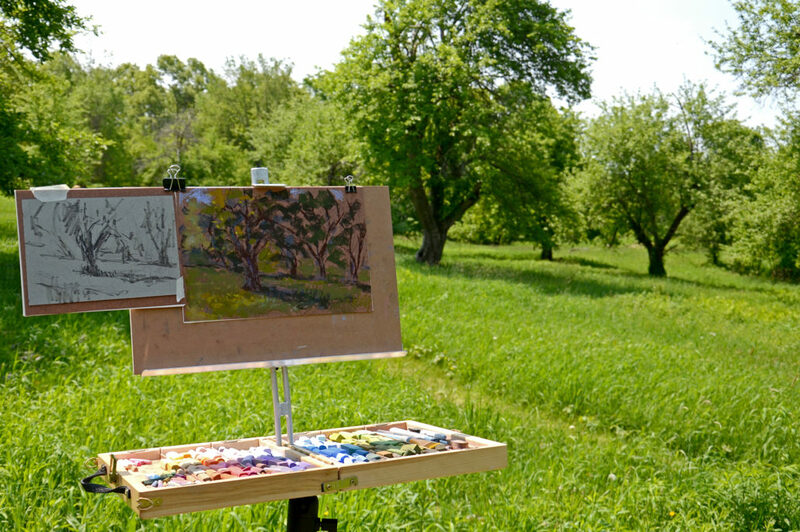 This exhibit focuses on plein air art resulting from a series of 4 workshop sessions, produced by multiple artists who visited different Harvard sites each week. We show the process, the freedom to test, experiment and play with ideas, and the freedom to be creative. On display will be studies, sketches, and value paintings, as well as any finished pieces ready by the opening. Artists at the reception will be available to discuss the process, and to demonstrate use of materials. Learn about how artists select their site to paint. What is it that they look for?